alliances were locked (“share hack”). when used at the same time that your Hero is Hexed. the effects of Potion of Invulnerability. - Warcraft III will now write its registry keys on launch. - Ivory Tower gold cost increased from 30 to 40. 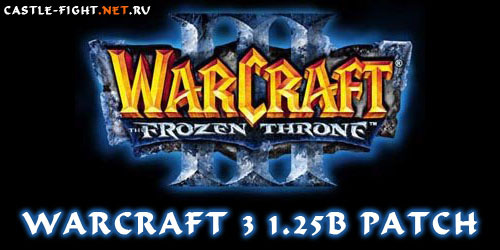 Download Warcraft 3 1.25b patch (Pirate patch,extracted files) from mirror 1, mirror 2. Download Warcraft 3 1.25b patch (Official patch, with BNet Updater) from mirror 1, mirror 2. Русский патч Warcraft 3 1.25b, а так же changelog Warcraft 3 1.25b на русском. Поколения и кузова mitsubishi pajero цена www.nikko-mitsubishi.ru.